Go to the View option on the top of the screen. 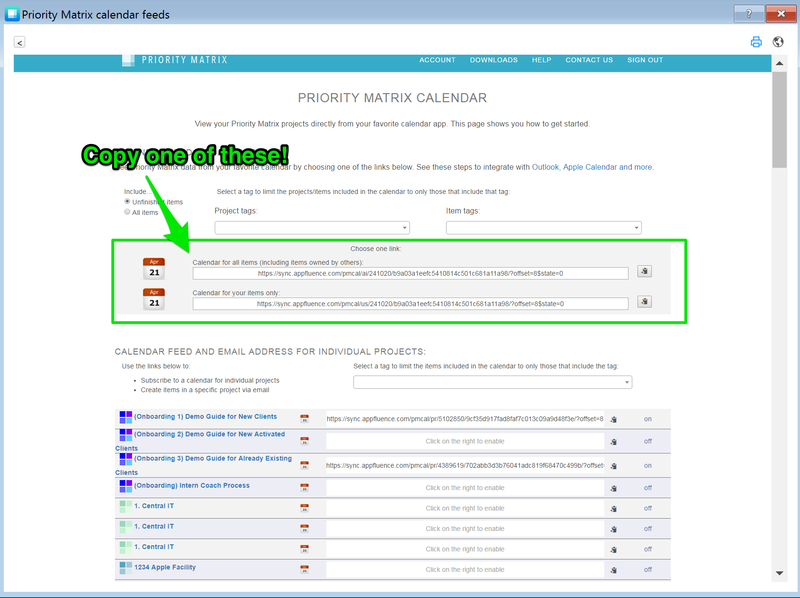 Select that and go down to the “Subscribe to calendar” tab. This will open to a screen with two links. One is for all your tasks and one is just for tasks delegated to you. You can also enable or disable different projects, depending on what you want to sync. Copy the link with your choice. 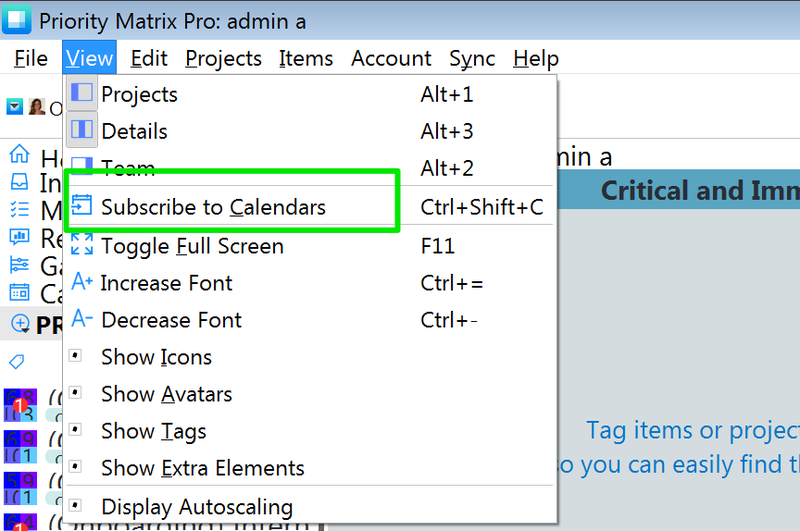 Open your Outlook calendar and find the “Add calendar” drop down, typically on top of month. Click that button and choose the “From internet” option. Paste the link you copied in step 2 on the top box. You can add a name if you’d like in the second box. For help syncing with Google Calendars, see this video.